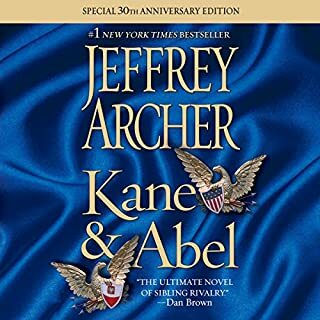 William Lowell Kane and Abel Rosnovski, one the son of a Boston millionaire, the other a penniless polish immigrant-born on the same day near the turn of the century on opposite sides of the world-are brought together by fate and the quest of a dream. Two men - ambitious, powerful, ruthless - are locked in a relentless struggle to build an empire, fueled by their all-consuming hatred. William Warwick has always wanted to be a detective, and decides, much to his father’s dismay, that rather than become a lawyer like his father, Sir Julian Warwick QC, and his sister, Grace, he will join London’s Metropolitan Police Force. After graduating from university, William begins a career that will define his life: from his early months on the beat under the watchful eye of his first mentor, Constable Fred Yates, to his first high-stakes case as a fledgling detective in Scotland Yard’s arts and antiquities squad. A disgraced British colonel bequeaths a mysterious letter to his only son. The moment Adam Scott opens the yellowing envelope, he sets into motion a deadly chain of events. Within days, he’s running for his life, pursued by the KGB, the CIA, and his own countrymen. Powerful men plot his destruction and Adam is betrayed and abandoned even by those he holds most dear. Is this an unabridged version? In Whitehall, Giles Barrington discovers the truth about his wife, Karin, from the cabinet secretary. Is she a spy or a pawn in a larger game? Harry Clifton sets out to write his magnum opus while his wife, Emma, completes her 10 years as chairman of the Bristol Royal Infirmary and receives an unexpected call from Margaret Thatcher offering her a job. 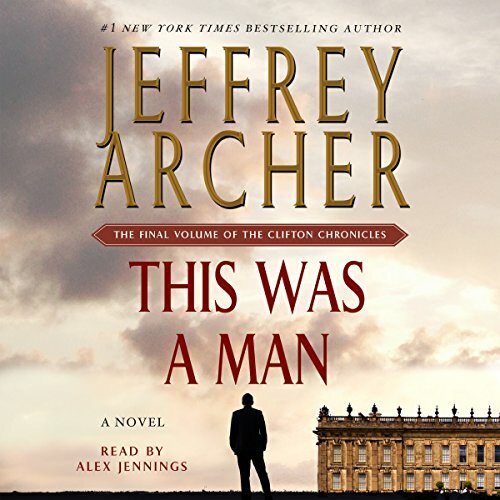 This Was a Man is the captivating final installment of the Clifton Chronicles, a seven-part series that has topped best-seller lists around the world and enhanced Jeffrey Archer's reputation as a master storyteller. Longtime series narrator Alex Jennings returns for Archer's final installment of the Clifton Chronicles. 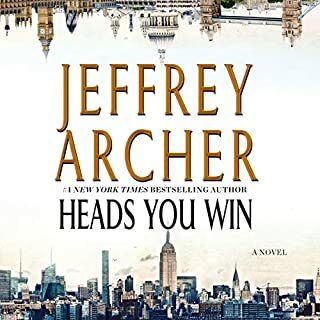 On Be Careful What You Wish For, AudioFile says, "Alex Jennings's skillful narration deftly unveils the large cast of characters as they maneuver through the nonstop action...Jennings connects with each character for a satisfying, enjoyable listen." 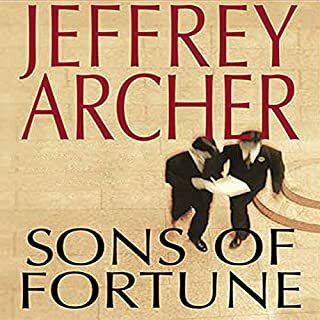 Jeffery Archer will be heralded as one of the greatest novelists of our day. I never write reviews fearing that I will sound unintelligent and not wanting to waste the time of those who rely on these to determine whether or not to invest their time in a book. I decided to in this case because after completing this series I felt it was my duty to add my voice to the many others asking people to take the time. I can not find the words to describe my appreciation for this work and recommend it to anyone and everyone that happens upon it. What a wonderful conclusion. Long and detailed. All the important characters had their bow. Thoroughly recommended. A friend mentioned the Clifton Chronicles to me several months ago. I downloaded the first audio book but didn't start listening until about 3 weeks ago. After 90 or so hours I managed to listen to the entire series!!! A lot of walking, driving, working out and late nights with my headphones on! I will miss all of these characters and the excellent narration! What an incredible series of books! I am so happy I could move seamlessly from the beginning to the end! What a fabulous end to a fabulous series! This was a wonderful series! I followed the characters from beginning to end. I will miss them. Bravo! ...at least two novels shorter. I was prepared to hate This Was a Man, but try as I may doing so was impossible. The highlight of the novel, indeed the highlight of the series, is Giles Barrington's eulogy to his lifelong friend Harry Clifton, the last 15 minutes of this novel. The best quote of many excellent ones from the eulogy, "He fell in love with my sister Emma. I thought he could do better." The other books in this series all end in cliffhanger situations, so they must be read in order. The Clifton Chronicles are historical fiction starting in the 1920s and ending 7 decades later. 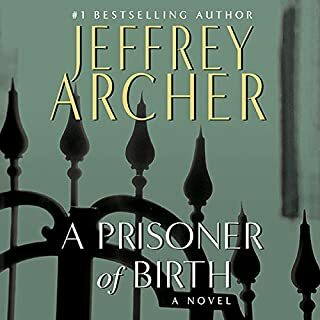 It is a tribute to author Jeffrey Archer that t is easy to forget that Lady Emma Barrington Clifton and Harry Clifton are fictional characters. What a measly ending to a great series. Worst of the bunch. There were such great buildups in the other Clifton chronicle books. Elaborate schemes that kept me on the edge of my seat. There was no strong plot through this one. Nothing really very interesting happened and it was boring. I hoped to see one particular character living a homeless life of squalor but didn't even get to see how that one played out in the end. The end of the book was as disappointing as the rest of it if. If not more so. A great series goes out with a fizzle. I expected more from Archer. 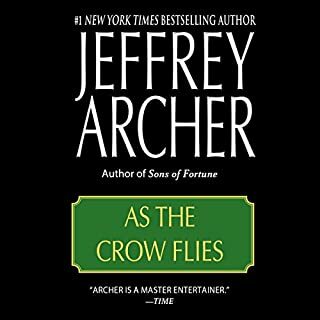 I've been a fan of Jeffrey Archer since Cain and Abel particle daughter and quiver full of arrows he never cease to amaze me how he can take a story and crapped it in such a way that you end up living it in every chapter you walk down every street you feel every anxiety and even unto death you feel the pain of a mother's sorrow. AJeffrey Archer novels allows you to feel the sweet Cool Breeze that comes over you while you're in the middle a walk through the Meadows. the Clifton Chronicles take you on a journey through the ages of time it didn't allows you to feel Victorious when you realize that you have met Margaret Thatcher and other great people of the Royal hiarchy. Giles Barrington takes you from the beginning to the end ...the story of the fearless,heroic, British Champion,Sir Harry Clifton!!! Would you listen to This Was a Man again? Why? I have listened to this whole series at least twice because I listen by myself, then I listen with my husband, and then we listen with our friends on long road trips. I don't like to have my friends listen to novels that I have not already listened to and know that they would love as much as I do. What was one of the most memorable moments of This Was a Man? I absolutely loved the Lady Virginia character and when she dropped the vases, I laughed out loud. Such fun and typically Lady Virginia vindictive! What does Alex Jennings bring to the story that you wouldn’t experience if you just read the book? Alex Jennings' perfect inflection for each of the characters made the entire series delightful. I loved the heart-felt eulogy that Harry gave for Anatoly Babakov and, of course, the tear-jerking eulogy given by Giles for Harry at the end. I have suggested this series to several of my friends and family and they all feel as I do. This was a gripping series that we couldn't wait until each new book was released. This is the last book of the series &amp; does a wonderful job tying everything up. The storyline for these books was wonderful as you felt like you were a part of the Clifton family. If you like to listen to series this is for you. The only sad part is I'm finished. I very rarely listen to books twice, but this series may be an exception. The character development created a visualization beyond the limitation of actors and motion picture screens. The format of time and interaction with actual events created a reality that rose from the words into our hearts and minds. Every possible human emotion was on display. 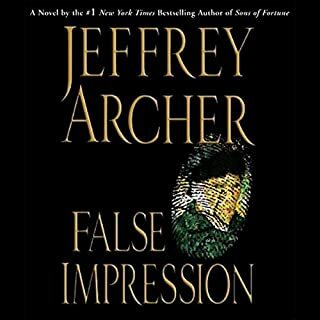 Thank you Mr Jeffrey Archer for sharing your pen and genius. I also raise my pen in appreciation and gratitude.